The Caribbean - with its balmy temperatures, white-sand beaches and vibrant cultures - is what dream vacations are made of. But the region is so jam-packed with lodging options, deciding where to stay might be the only thing that stands between you and turquoise waters. That's where U.S. News steps in, combing the region to find the best properties. From boutique retreats in private coves to expansive all-inclusive resorts, we evaluated each hotel using a comprehensive methodology that utilizes star ratings, industry awards, expert recommendations and visitor reviews to determine which hotels offer the best experiences. 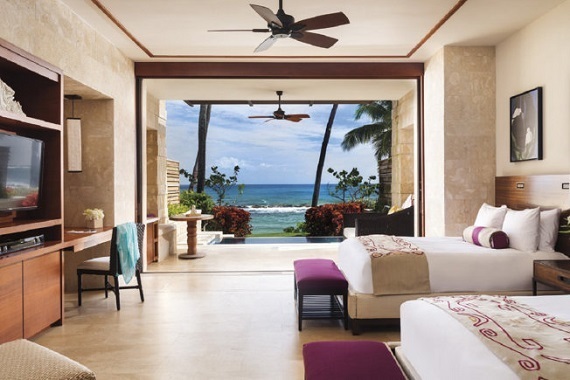 Boasting butler service for all of its 74 ocean view suites (the only Sandals property to do so), this AAA Four Diamond Award recipient provides an extra dose of luxury with all-inclusive activities like scuba diving and snorkeling. Off the sand, guests can perfect their tennis or golf game, which is also included in the nightly rate. 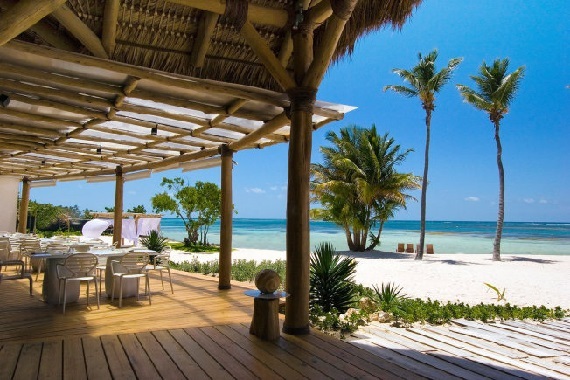 Nothing says luxury quite like a 1,000-acre private island. 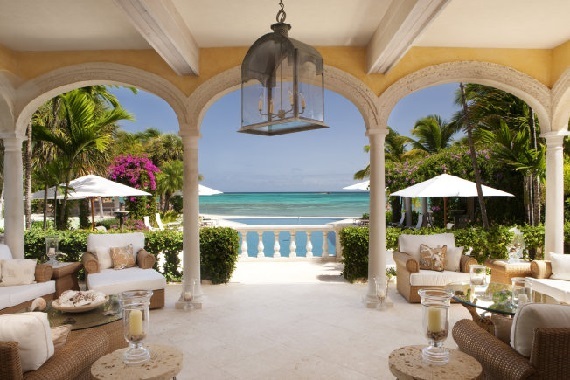 And at Parrot Cay by COMO in Turks and Caicos, that's exactly what you'll find, along with 24-hour butler service and villas with private pools. 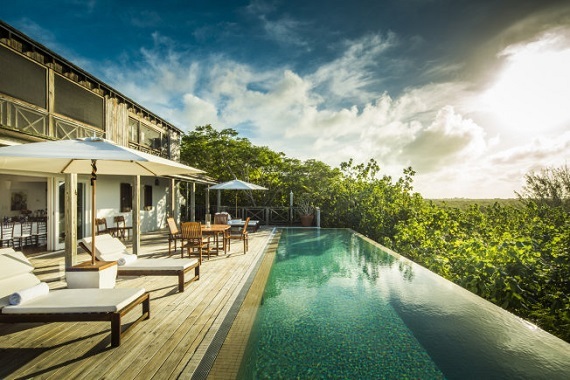 Just off the coast of Antigua, Jumby Bay, A Rosewood Resort offers an assortment of accommodations, ranging from octagon-shaped cottages to private villas and homes, all with access to nearly 5 miles of secluded shoreline. The only AAA Five Diamond property in Puerto Rico, this former coconut plantation has been converted into a 483-acre eco-friendly resort along the Espíritu Santo River. 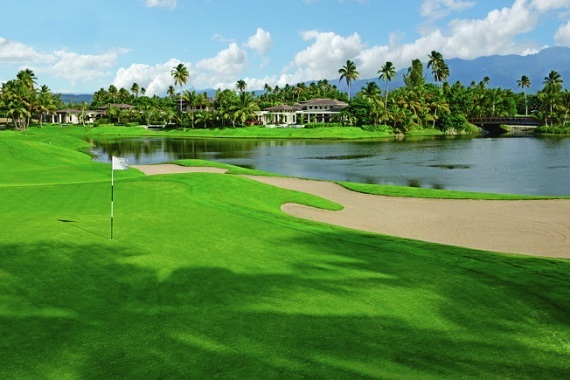 Located near the El Yunque National Forest, the resort features an environmental outreach program and outdoor activities like zip lining, kayaking and golf at its Robert Trent Jones Jr.-designed course. 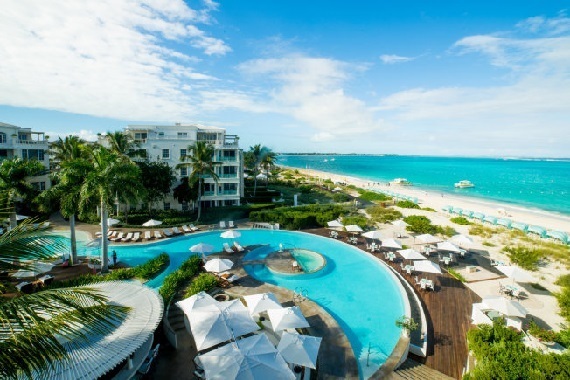 Located on Grace Bay, The Palms Turks and Caicos is consistently a top pick for travelers. 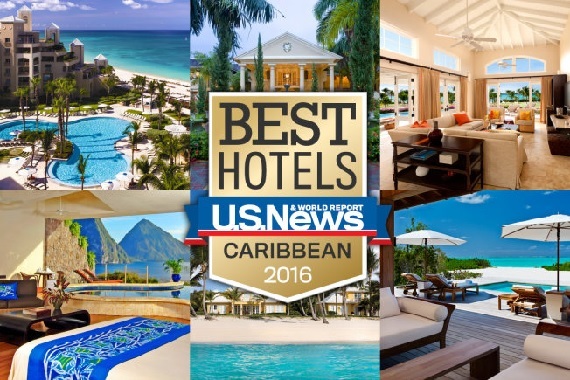 In fact, its impeccable service and attention to detail helped it earn a place on the Condé Nast Readers' Choice list. Guests are equally impressed by the serpentine infinity pool that weaves throughout the property. When suites are called sanctuaries, you know you've found the lap of luxury. 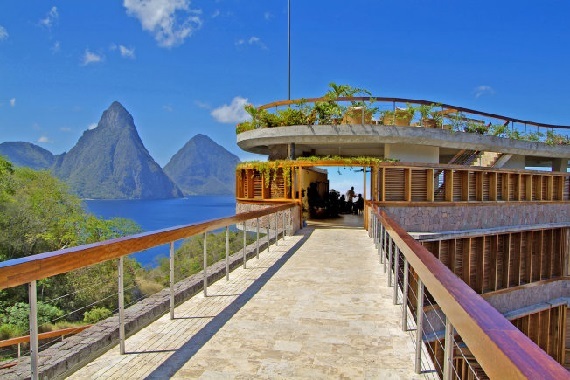 Accommodations at this St. Lucia retreat sport only three walls, affording panoramic vistas of the Piton Mountains and the Caribbean Sea from private infinity pools. Not many resorts can say their interiors were designed by Oscar de la Renta, but that's not Tortuga Bay's only claim to fame. The Punta Cana resort - a AAA Five Diamond Award recipient - also offers two championship golf courses created by Tom Fazio and P.B. Dye. Originally owned by Laurance S. Rockefeller, this AAA Four Diamond Ritz-Carlton property is ideal for those who love to mix relaxation with outdoor adventure. Case in point: Guests can explore the resort's 11-mile nature trail before returning to suites that offer butler service. 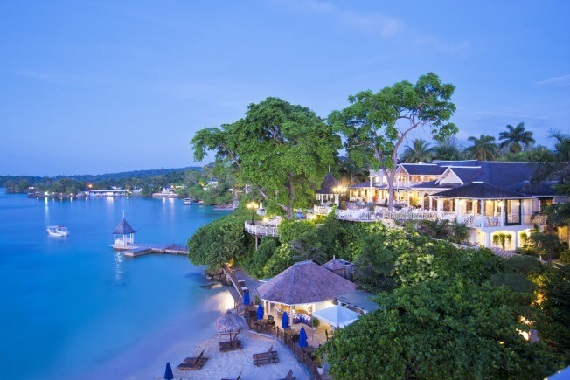 Known for its hospitality and spacious suites, this family-owned 48-room property in Ocho Rios doesn't feature TVs, radios or clocks in its accommodations in hopes that guests can unplug and unwind. And visitors seem to appreciate the tranquility. 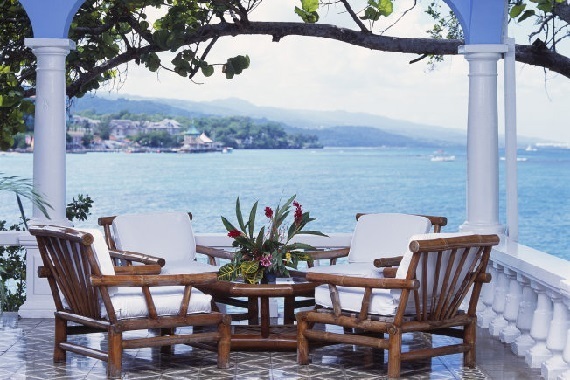 The Jamaica Inn is a TripAdvisor Travelers' Choice recipient and appears on the Condé Nast Readers' Choice list. 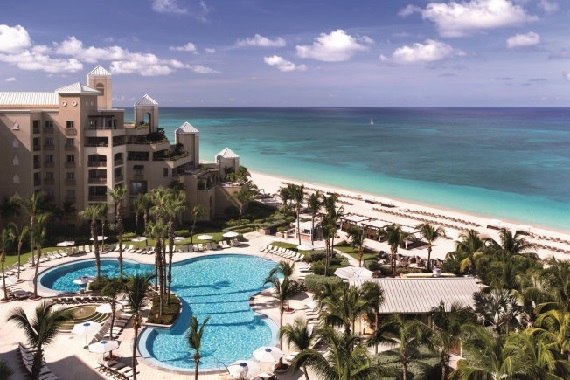 Located on Seven Mile Beach on the western shore of Grand Cayman, this 144-acre resort offers unique experiences, such as nighttime snorkeling excursions, along with well-appointed suites with luxurious amenities like soaking tubs. This may be why the property, a Lonely Planet Top Pick and a AAA Five Diamond Award recipient, moved up from the No. 15 spot in 2015.